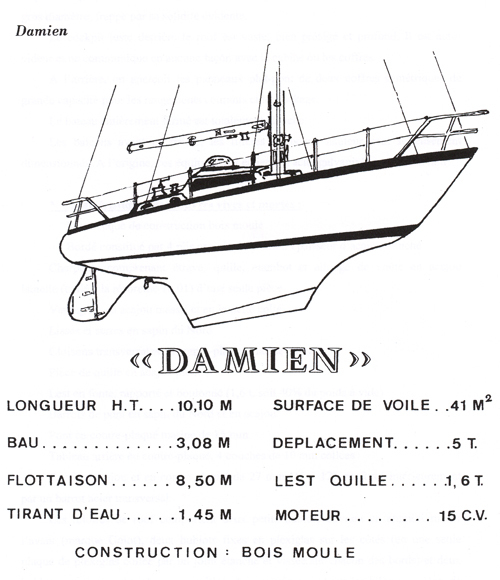 Design Damien met a number of requirements more or less reconciled (especially at the time, in the late 60s): strength, small displacement, autonomy (storage, large range), versatility (navigation in all conditions: tropics, heavy seas, ice, rivers, etc. ), safety, ease of operation, maintenance and repair for a reduced relative comfort in the context of a long journey crew. All that staying within a reasonable budget for three, then two young guys broke. 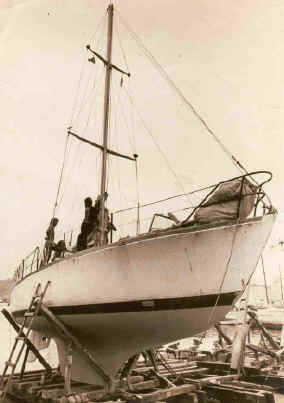 Hull : molded wood, mahogany four folds 5mm.Etrave, keel, stern lie arch laminated mahogany neck, a single piece. Varangues solid and laminated mahogany. Smooth and greenhouses in northern pine. Deck mahogany and marine CP 27mm. Construction :Nautic Saintonge site (Mr. Y. Desbordes), Saujon (17) between 1967 and 1968. 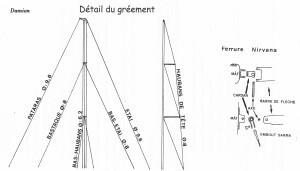 Mast : Nirvana 10.40 m on the bridge, two floors spreaders. 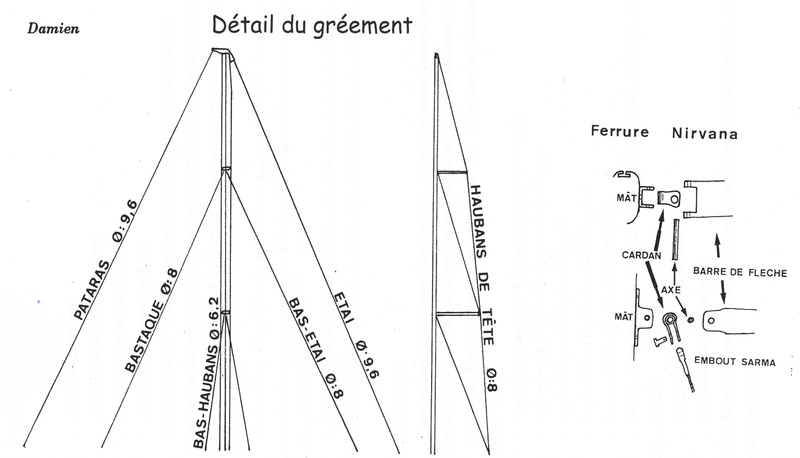 Rigging : Sarma (fore and backstay 9.6mm). 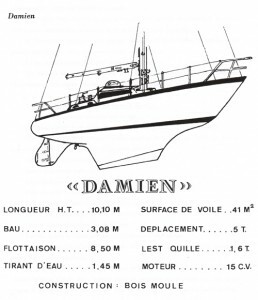 Wing : cutter, 41 m², terylene fabric, sail Hervé (La Rochelle). Engine : Couach BD 2, 15 cv gasoline, 10 litres tank. Facilities : designed and made by ourselves. Navigation equipment : compass, sextant, sounder, flair et baraka. 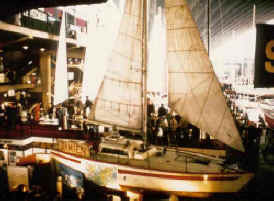 La Rochelle in May 1969 (right) at La Rochelle in September 1973 (left), Damien resisted perfectly throughout its long journey of 55,000 miles per Spitsbergen, the Amazon, Cape Horn and Antarctica. Aside from a dismasted in a huge gust of wind near South Georgia, he knew no major damage during his world tour. Sold, the ship remained some time abandoned. Found in the early 2000s, it was declared a historic monument. A project was mounted to restore and re-based to navigate the torque Joshua B. Moitessier in the fleet of the Maritime Museum of La Rochelle.